When the ABC’s Media Watch went to air with its February 16 edition, the main item dealt a stiff dose of the show’s standard smirk and sarcasm to The Australian‘s environment roundsman Graham Lloyd, whose report of a study by acoustic engineer Steve Cooper had featured on his newspaper’s front page. In what Cooper has made no bones in describing as a small, preliminary and non-scientific survey of wind turbines’ possible impact on health, he found an apparent co-relation between the incidence of symptoms reported by six families near Victoria’s Cape Bridgewater wind farm and the periods during which adjacent turbines were rotating or stopped. Talk about red rags and bulls! Media Watch has long had a soft spot for green causes, with former host Jonathan Holmes once going so far as to lament that commercial radio stations were much too fond of quoting climate sceptics and that “the problem is, the regulator won’t or can’t enforce the Code unless someone complains it’s being flouted.” By “the regulator” Holmes meant that Orwellian-sounding body, the Australian Communications & Media Authority. If his viewers took it upon themselves to blitz ACMA with complaints that global-warming heretics were being given air time, one gathers Holmes would not have been too distressed at the inconvenience and expense incurred by the stations’ obligation to respond. This time, the suggestion that wind farms not be built until detailed research had been done on their alleged effects did not prompt wink-wink hints that a media authority, such as the Press Council, be encouraged to give The Australian a spanking. But it did spark what has been an ongoing to-and-fro between the newspaper and the ABC’s self-styled watchdog of fairness, accuracy and misplaced commas. Readers who have not followed the exchanges can catch up with the salvoes and snipings here, here, here and here, the last of those links being The Australian‘s potted history of the affair so far. And there the matter might, if not have rested, at least simmered and stewed until Cooper decides if he will take legal action against the ABC, when the final word will belong to a judge and/or jury. Except, out of the blue, Quadrant Online was informed by an anonymous someone — an informant who claims to be an ABC insider, no less — that the researcher who worked on the Media Watch piece, Flint Duxfield, had enjoyed a previous life as a paid employee with a left organisation, AidWatch, which also pursues an active sideline in climate-change hysteria. As the Media Watch item concerned wind turbines, and as it scoffed and chortled at the very idea there might be anything wrong with large, expensive, unreliable, tax-payer subsidised, bird-mincing eyesores, the tip seemed worth checking out — although, truth be told, it didn’t seem very credible. Who could believe that an unbiased journalist remains on the ABC payroll, perhaps even a conservative one. Still, stranger things have happened. Japanese soldiers hid out in the jungle for decades after 1945. Perhaps, tucked away unnoticed in an ABC backwater, a discrete advocate of rigour and balance had managed to hang on and survive. The informant pointed Quadrant Online to a number of web links which were checked and others found. It seemed that even by the norms of pro-green ABC propaganda the informant was making a valid point. Should a researcher who once began an article with the assertion “Our addiction to fossil fuels has pushed us beyond mere ‘anthropogenic interference’ with the climate and we are now on the brink of a climatic catastrophe” have recused himself from involvement in preparing the Media Watch item? Or, failing that, should the item have included a footnote that informed viewers of the researcher’s past? These seemed valid questions, so in the tradition of Media Watch’s own demands on the media outfits that attract its interest a series of questions was sent off. Like Media Watch, too, the notion that an immediate response might inconvenience the recipient was dismissed. As the show often sends out its ‘please explain’ queries and gotchas on Friday afternoons, we figured they would understand that Quadrant Online’s interest trumped the pressure of meeting its deadlines. The list of questions is reproduced below as sent, the only correction being the addition of an additional ‘n’ to Greens Senator Lee Rhiannon’s latest surname, mis-spelled in the original. Rhiannon co-founded the organisation for which Flint Duxfield worked before joining in the ABC. After that, readers can savour Flint Duxfield’s reply. It seems he doesn’t really believe what he was writing for Aidwatch — just a PR spruiker doing his job and beating the catastropharian drum. Then follows further correspondence to and from Quadrant Online with some more interesting links included. Finally, we present a note from Media Watch executive producer Tim Latham, named by Duxfield as one of the two people on the show’s team who opted not to include a defence of Cooper in the item as it was broadcast into the homes of the Australian taxpayers who fund the programme. Quadrant Online is interested in the story you researched on wind turbines, which has been the subject of much comment in regard to alleged unfairness and, according to The Australian, your decision not to quote or mention anyone but advocates and defenders of alternate energy. Here are our questions. As we are under deadline pressure, your answers are needed by close of business today. But what is particularly alarming about the program was that Media Watch researcher Flint Duxfield deliberately ignored the large pool of positive reviews about Mr Cooper’s study. The Australian has written evidence Duxfield was made aware of the significance of the Cooper report in direct interviews with Mr Rand, but did not make that information available to Media Watch viewers. Is this true? Did you omit, deliberately or otherwise, information that might have placed Cooper’s report in a less critical, more balanced light? Do you still adhere to this view? If so, as per The Australian, was that view a factor in your decision to “deliberately ignore” positive reaction to Mr Cooper’s study? 3/ Our informant also refers us to your former role as the PR operative for a tour of Australia by Professor Anu Muhammad, the headline speaker under the banner “Voices from Bangladesh: climate change and development speaking tour.” Prof Muhammad opposes the development of a coal industry in his country. His trip to Australia was funded by Aidwatch and/or The Greens. See also this press release prepared under your byline. Do you believe solar and wind alone can lift Bangla Desh out of poverty? If so, can you cite a development plan based only on these power sources? 4/ Our informant further notes that AidWatch, mentioned above, was co-founded by Greens Senator Lee Rhiannon. The organisation was dismissed by former Foreign Minister Alexander Downer as a politically partisan “extremist organisation”. Given your work pedigree, do you think Media Watch should have mentioned your background as an activist and associations? 5/ In your Linkedin profile — a charming picture, by the way — you make no mention whatsoever of having worked for Aidwatch. Why not? Would you agree that, had that activist connection been mentioned, some might reasonably conclude your crusader’s zeal continues in another, less open guise? 6/ AidWatch’s listed address is 19 Eve Street, Erskineville. Attached is a photo of that property. Were the signs and placards in the windows — “Vote for The Greens”, “Solar and Wind, not Coal and Nuclear”, “Vote 1 The Greens” — when you worked there? 7/ Further, 19 Eve Street is also listed as the address of the Erskineville Greens. Are you, or were you, a member of the Greens? If you were or remain a member of the Greens, should you have recused yourself from researching a story that not only rejected but poo-hooed any association between wind turbines and health risks? If you are or were a member of the Greens, rather than simply having worked from their Erskineville address (see above), do you believe this background information should have been available to Media Watch viewers? “I was working in the non-profit sector and doing a number of media interviews. I realised I would rather be doing the interviewing myself,” he said. 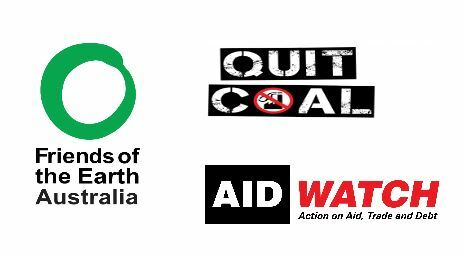 As that “job in the non-profit sector” was with AidWatch, do you consider your current employment with the ABC to be a continuation of your previous efforts in opposition to coal etc? no-one at the ABC is slightly bothered by the fact that political bias infects so much of coverage. Normally it is more subtle and you learn to live with it. But a greens campaigner leaving out vital information from a story that dismissed and ridiculed someone who raised valid questions about wind power is just too much. Apologies for not getting back to you yesterday. We were busy preparing the show. I understand that Tim provided a response in the meantime but now I’ve had time to see your questions, please see my responses below. Yes, I did work for AidWatch for around two and a half years until January 2009 before I began my career as a journalist with the ABC in 2010. That role included public relations activities which involved writing articles and representing the organisation in accordance with its charter and principles. However, the comments made during this time do not represent my personal beliefs, just as the stories I am assigned to research at Media Watch do not reflect my personal interests or beliefs. My previous work in public relations and foreign aid research has no impact on my current professional work with the ABC or the Media Watch program. I strongly disagree with your suggestion that a journalist’s employment history affects their ability to act impartially and professionally. It is not uncommon for journalists to subsequently work in public relations and vice versa. It’s now more than 6 years since I worked at AidWatch. Since 2009, I’ve completed a Masters in Journalism at UTS, for which I received the Outstanding Student Award. Before commencing my work with Media Watch I worked for various media outlets including roles as a senior ABC reporter, an executive producer and state manager with ABC Rural Radio. I’ve received many awards for my work as a journalist and feel my record speaks for itself. As noted yesterday, I have no editorial control over the stories Media Watch covers. The conversation I had with Mr Rand was fully communicated to my executive producer, Tim Latham, and any questions regarding the content of the Media Watch segment are best answered by him. My LinkedIn profile has only a portion of my career listed because, frankly, I find it a bit useless. I have never worked for the Greens or any political party and I reject the suggestion that I am, or have ever been, a ‘greens campaigner’. I have never heard of Mr Hilton until your email and Ms Rhiannon did not have any position at AidWatch during the time I worked there that I am aware of. The Greens have provided written confirmation that they have no records of me having been a member, nor have I ever been a member of any other political party. To the best of my knowledge, AidWatch did not accept donations from the Greens or any political party while I was working for the organisation so I believe the suggestion that the Voices from Bangladesh tour was funded by the Greens is incorrect. 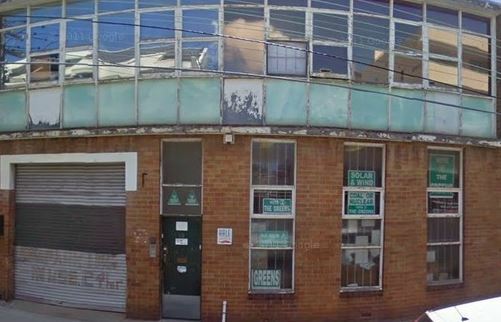 The AidWatch office was separate to the Greens office in a very large warehouse in Erskineville which was also occupied by around 4 or 5 other organisations during the time that I worked there. I am not aware that I have ever said that wind and solar alone could lift Bangladesh out of poverty, nor do I believe such a policy would be practical for one of the world’s poorest nations. I won’t argue the toss that an organisation co-founded by a Greens nob (Lee Rhiannon), led recently by a Greens campaign manager and whose address is listed in Australian Electoral Commission filings as a Greens office might have been other than a nest of Greens and sympathisers when you worked at that location. Greens MP Jeremy Buckingham certainly thought it was Greens Central, as the AEC lists his donations to the party as going to that address. David Shoebridge, a fellow Greens MP, also sent his donations to that address. One thing I am curious about, though: two stories of yours published by New Matilda make no mention of what you now present as your “PR” affiliation with Aidwatch. I would have thought — bearing in my mind that I’m an old-school journo whose education was never attended to by Wendy Bacon, nor my scrapbook graced by bylines shared with her — that making no mention in those pieces of what you now insist was purely a PR role rather implied they were actually your deeply held opinions and analyses, hence manifestations of activism, rather than the flackery of a mere and insincere PR operative. On this point I take my cue from Media Watch itself, which has been sorely vexed when PR hacks’ work is passed off as news. But what do I know? I didn’t learn my craft and ethics at UTS. Nor do I have a mantelpiece burdened with awards, having always believed the pursuit of prizes opens journalists to the suspicion that their stories might be geared to pleasuring judges, rather than serving the truth. Not that you would ever do that.And many, many thanks, too, for explaining the Rand omission mentioned in The Australian. It’s good to know you passed this info up the chain to Media Watch’s two most senior hands and it was they who opted not to mention it. Is Stephen Cooper still talking about suing ( http://www.abc.net.au/mediawatch/transcripts/1505_wind2.pdf )? The acoustics engineer and his lawyers might find that information interesting. Australian Student Environment Network, which in 2006 was headed by Holly Creenaune, whom your own ABC described as “deep green and anti-capitalist“. That went to air immediately prior to her involvement in the protests that prefaced Melbourne becoming a war zone during the G20 conference of 2006, the year you began your employment with Aidwatch. Friends of the Earth was another of your co-tenants at 19 Eve Street. You’d know about them, surely, as a photo you snapped appeared in their newsletter. For someone working there only as a PR hack, it must have been a nightmare of mung beans and sprout sandwiches.What you may not know, having moved on to a career at the ABC, is that Aidwatch and Friends of the Earth are no longer strangers in the corridor but chummy as chummy can be, having joined with Quit Coal in 2012 to petition then-Foreign Minister Bob Carr to help them save the planet from mines, and profits and CO2. Together they pleaded with Carr to abandon the government of the day’s policies of using foreign aid to promote private investment, permitting mining, and promoting market mechanisms. That note, with the three organisations’ dinkuses atop (and reproduced at left), was sent from 19 Eve Street. Anyway, all of above is probably academic in your case, since you write that “the comments made during this time do not represent my personal beliefs“. Well, I’m glad about that for your sake, as anyone who asserted that the world is “on the brink of of climatic catastrophe” would be an idiot unless richly compensated for putting name and reputation to such piffle. Mind you, “richly rewarded” is a very subjective term, and perhaps I use it inadvisedly. I see from Aidwatch’s 2009 annual report that the organisation boasted only yourself and three other employees, who divided a meagre payroll and on-costs of just $77,872 between them, no doubt each according to his or her needs.And yes, you are right as well about the wrongness of holding a journo’s previous employment against him or her. I once worked for Fairfax and later, for ten years, contributed a column to The Sunday Age. I would take it as a gross slander were anyone to surmise from that previous association that I am as at odds with the language as a pair of editors who swear “Treasurer for Sale” does not mean a treasurer can be bought. Let us hope for the sake of SMH Editor-in-Chief Darren Goodsir’s peace of mind that he remains oblivious to his company’s Domain subsidiary, which advertises “homes for sale”. And, yes, they can be bought. PS: A word to the wise. If I were you, I wouldn’t let Dr Tim Anderson know you don’t believe a word of what you wrote at Aidwatch, that it was just a job and your output insincere PR puffery. I haven’t thought of Dr Anderson since the Hilton Bombing trials of so long ago (I was there late that night outside the Hilton, working for the Sun-Herald, shortly after the slain dustmen were scraped off the footpath). I see in the annual report cited above that Dr Anderson was on Aidwatch’s board of management when you worked there. I understand he can be quite stern. Two hours notice to answer your email is not sufficient time. 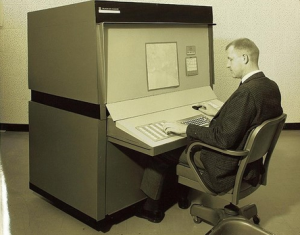 I am editing tonight’s program so apologies for being brief. The key point here is that Flint Duxfield makes no editorial decisions about what goes in the script. Those decisions are made by Paul and me. We make the call on what stories are researched, what stories are covered and how they are told. Flint was employed by the ABC as a rural reporter in WA before coming to Media Watch as a researcher in 2013. Yes Flint has worked in PR, but people move between PR and journalism all the time. They also move between politics and journalism. I don’t believe that should preclude them from working in either profession. The primary intent of our story on the Cape Bridgewater wind farm study was to highlight how a number of media outlets uncritically echoed what Media Watch considered to be a misleading front page article published by The Australian on 21 January, especially in linking wind farms to health effects. We did not include Mr Rand as his views were no different from Stephen Cooper’s. Nor was he qualified to talk about the health impacts of the study – which was our focus. For the same reason we did not include acoustic engineers who disagree with Stephen Cooper. Flint Duxfield assures me he is not a member of the Greens. The party cannot find any record of him having ever been a member. So, just to be clear, Media Watch felt no need to include US acoustics expert Robert Rand’s support for the work of Stephen Cooper — the man whose preliminary research at Bridgewater was denounced by one of the show’s favoured quote-spigots, anti-smoking crusader Simon Chapman, as “an atrocious piece of research” — because Rand’s “views are no different from Mr Cooper’s”. Yet it managed to quote several critics of Cooper’s work, not one of them an acoustic expert and whose views are “no different” from each other’s. I’ll run your response in full. It speaks for itself — and, sadly, for Media Watch. If you’d care to further examine why a climate-change proselytiser, someone who worked out of a Greens office for an organisation co-founded by a Greens leading light and headed by a Greens campaign manager should have (a) recused himself from contributing to a story ridiculing any link between wind and illness or (b) at the very least stated his background and sympathies as a footnote, well I’ll run that too. Can’t you just imagine how much better Media Watch would be if stories like this were, you know, debated on air, rather than verdicts on their correctness or otherwise being handed down from a rather low molehill its occupants mistake for Olympus? The encouraging thing is that, somewhere in the bowels of the ABC, there is a a mole who thinks the national broadcaster needs a dose of salts. Over to you Malcolm Turnbull, minister responsible for the national broadcaster. The Mt Lofty ridge line in Adelaide would be the perfect place for some fans. Likewise the Harbour Bridge or Middle Head. St Kilda beach gets pretty windy too. Not molehill, Roger – dunghill! Can you imagine the witch hunt going on inside the molehill (or dunghill as Mr Luck suggests above) trying to find the “toad” who outed Duxfield? It wouldn’t surprise me to find out that email and other IT system servers have been thoroughly scanned and re-scanned several times.